Please make sure this is the correct part before buying. 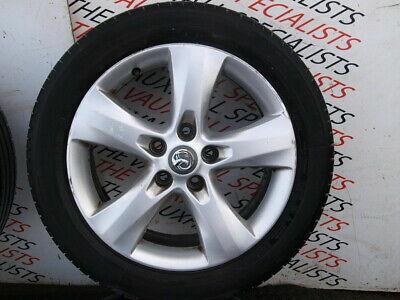 In this product page you can see a VAUXHALL ZAFIRA C ASTRA 09-ON 2.0CDTI SET OF ALLOY WHEELS+TYRES 17 INCH 13259247 that will fit a Vauxhall Astra and any of the vehicles in the compatibility list. This vehicle part is a Used part, so please ensure it is the right one before buying.